Jared Klim and Vivian Englund, journalism students at Southern Connecticut State University, reported this story in 2016 as part of Journalism Capstone coursework on World War I. Registered nurse and genealogist Pat Homola carries a line of stories about her family’s involvement in World War I. A harrowing story of her grandmother Emma Homola is one of many passed down through generations. Following the incident, Emma Homola was arrested as a spy and sent to a Latvian prison where there were only interrogations, yet no formal trial, according to Pat Homola. In prison, Emma Homola was starved and the only food given was pickled rats, which she was said to have refused to eat. The event all came to a head on the day Emma Homola was to be executed by a firing squad. Then an unnamed man stepped forward and said he knew what family she belonged to. These events lead to further interrogations for both the man and Emma Homola, according to family lore. “They were asked personal questions about the family and their home, right down to the pattern on the drapes. They both answered with exactly the same answers and my grandmother was released to her family who had no idea she had been arrested,” said Homola. Pat Homola has documents and photos from her paternal grandparents, which is has researched as part of her genealogy. 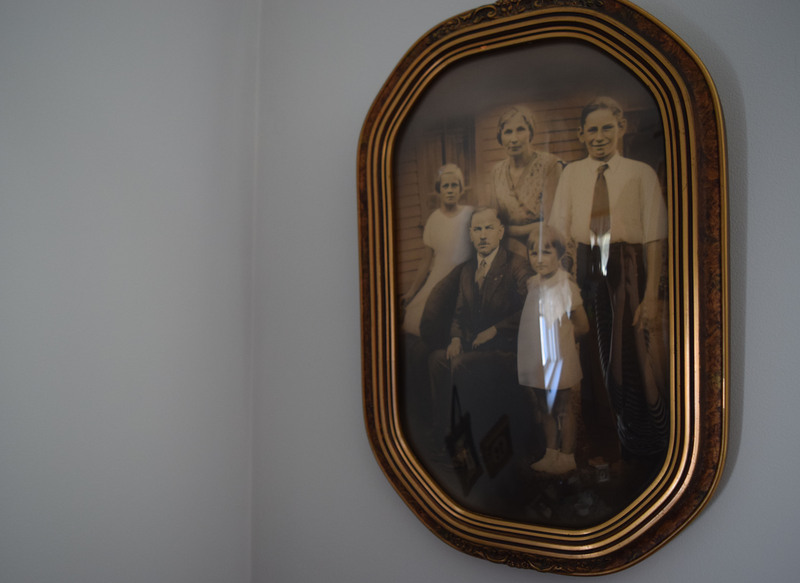 Homola family photo hangs at Pat Homola’s home in Milford. Emma Homola’s twin brothers, Charles and Robert, both served for Latvia in WWI. Robert died in combat, according Pat Homola’s records. She said she has a photo of Emma Homola wearing a widow’s dress from 1915. Emma Homola’s husband, shoemaker George Homola, was originally from Russia and then Latvia, but emigrated to the United States before the war. 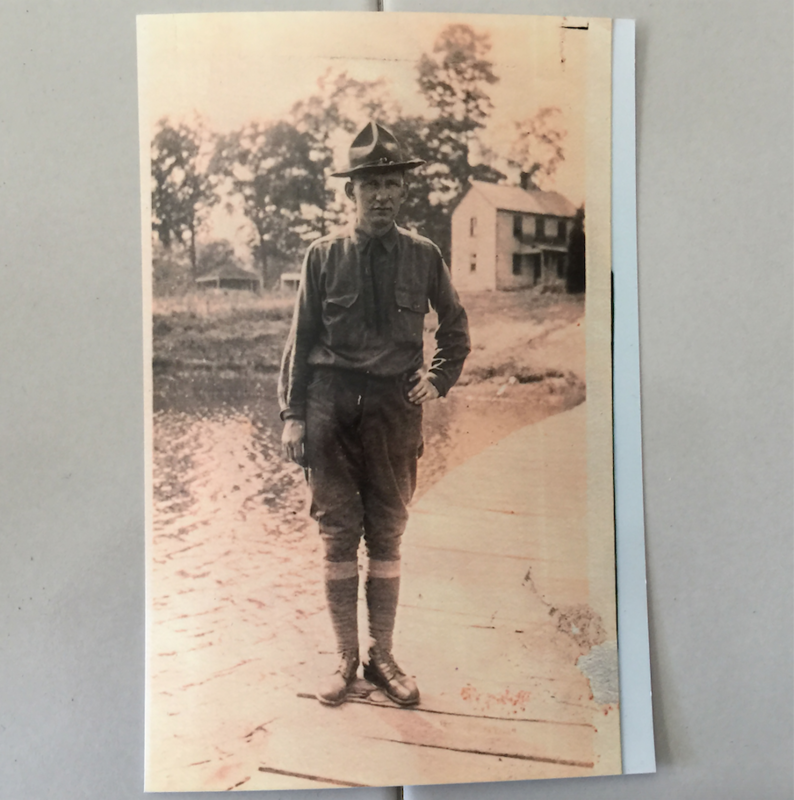 He went on to serve in the U.S. Army, 67th Artillery, according to project manager, “Remembering World War One: Sharing History/Preserving Memories” at Connecticut State Library, Christine Pittsley. Non-U.S. citizens living in the United States could achieve citizenship through their service in World War I.
John Vandling Weidler, Private, in Company I, 3rd Battalion, Chemical Warfare Service, U.S. Army. Weidler returned from war, and continued his occupation as a millwright at the Smithville Inn in New Jersey. Sifting through more documents and photos, Pat Homola said her research on her family’s involvement in WWI continues. Edited by Cindy Simoneau and Jodie Mozdzer Gil, professors of journalism at Southern Connecticut State University. 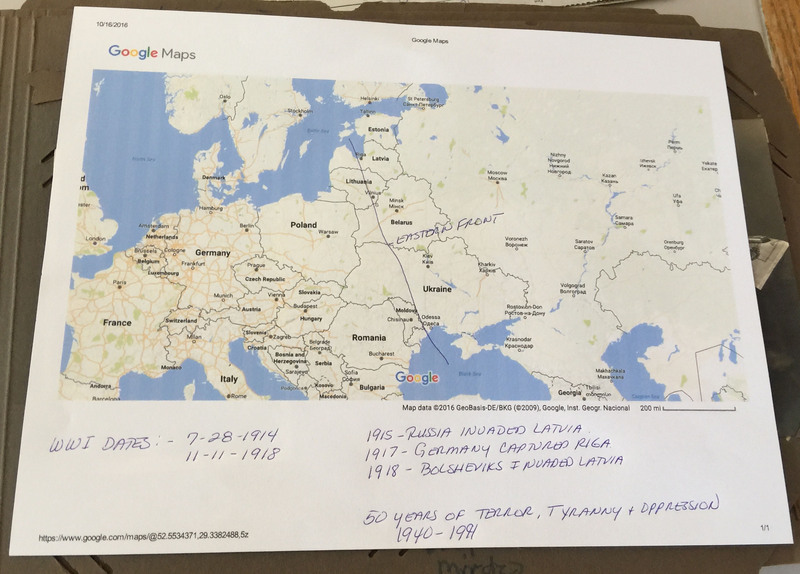 Latvian map with Pat Homola’s notes.